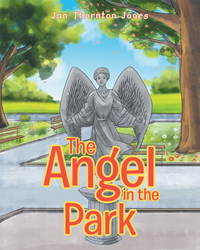 “The Angel in the Park” from Christian Faith Publishing author Jan Thornton Jones shows young readers the rewards of helping the less fortunate and the power of one good deed. Young Sadie inspires the children and adults of her community to help the cold and hungry homeless living in the park through one simple act. “The Angel in the Park”: the story of a little girl who inspires others to help the cold and hungry. “The Angel in the Park” is the creation of published author, Jan Thornton Jones. Jan was born in Texas, but moved to New Martinsville, West Virginia where she went to Magnolia High School then West Virginia University. She has a bachelor’s degree in elementary education, a master’s degree in communication studies, and a master’s degree in early intervention special education. Jan owned and operated her own preschool for many years. She then taught pre-K through first grade for Wetzel County Schools until retirement. Jan has been married to the love of her life, Don, for forty years. They have two adult children, one wonderful daughter-in-law, and two precious grandchildren. Jan is a frequent pianist and vocalist at her local church. She also enjoys quilting and reading. Published by Christian Faith Publishing, Jan Thornton Jones’s new book is a story about helping others. One bitterly cold and snowy night, Sadie was on her way home from church. She sees a fire in the park. For the first time in her life, she realizes there are people without homes who are cold and hungry. With her mother’s help, Sadie decides to leave food and a warm blanket in the park under a stone statue of an angel. As the word of her deed spreads at school, the other children and parents decide to help the homeless too. View a synopsis of “The Angel in the Park” on YouTube. Consumers can purchase“The Angel in the Park” at traditional brick & mortar bookstores, or online at Amazon.com, Apple iTunes store, Kobo or Barnes and Noble. For additional information or inquiries about “The Angel in the Park”, contact the Christian Faith Publishing media department at 866-554-0919.